The climbing in Asturias is fantastic and, although so far undiscovered by most, this is an area that’s recommended by everyone who goes. So, as the authors of the best guidebook to the region, Roca Verde we are developing Casa Quirós as a holiday home to perfectly suit the needs of climbers: in a great position close to a huge range of climbing of all styles, grades and types. 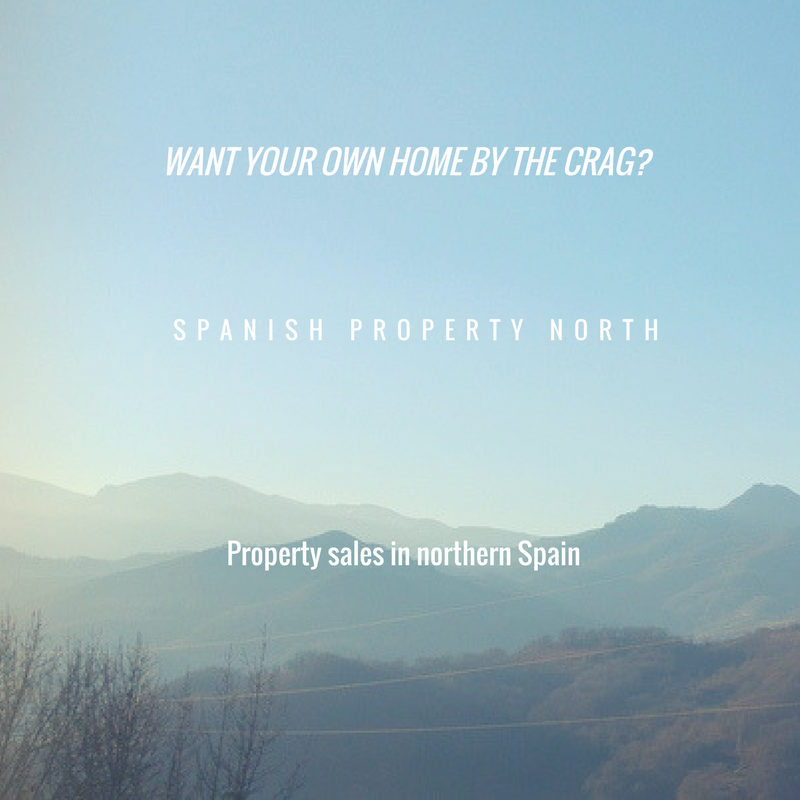 Situated within walking distance of the crag of Quirós, it is also within a 15 minute driving radius of the crags of Teverga, Marabio, Villanueva and Peñas Juntas. There are even plenty more crags available within easy driving range from Casa Quiros. Within 40 minutes you can get to Otura, Frechura, El Laboratorio and more. It’s also just a short hop over into Leon and in an hour you can be at the large crags of Villanueva de la Tercia, Hoces Free and Pedrosa. 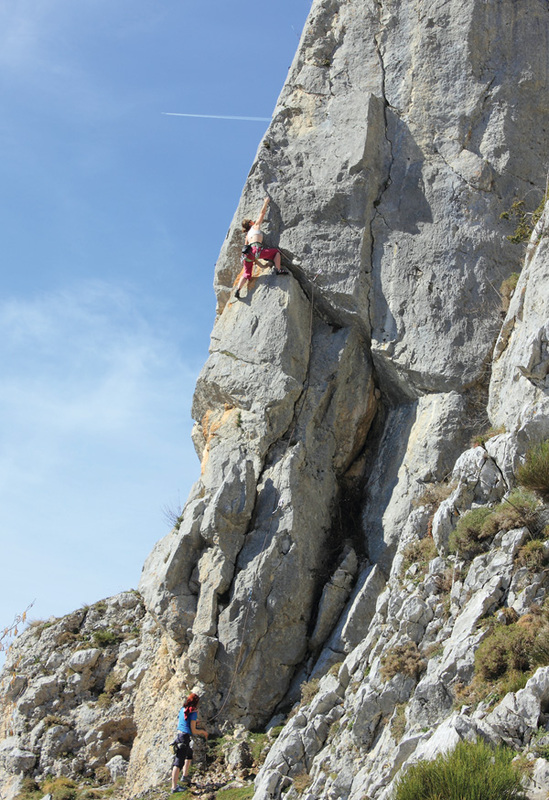 Quirós, the nearest crag, and one of the most famous in Asturias is home to the first Asturian 7a and 8a and is within easy walking distance from Casa Quiros. With over 20 sectors and nearly 300 routes there’s something for everyone. 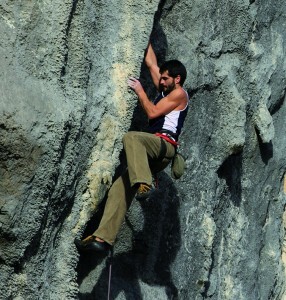 A superb everyman crag the bias is towards more reasonable grades and slabs and wall climbing prevail. 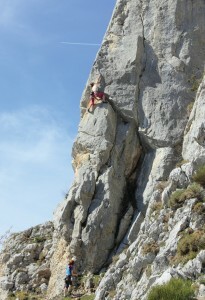 At Quiros, there are 170 routes below 6c+ and 60 are 6a or below. almost certainly the best climbing area in Asturias, and one that that merits inclusion in any list of the best of Spain. 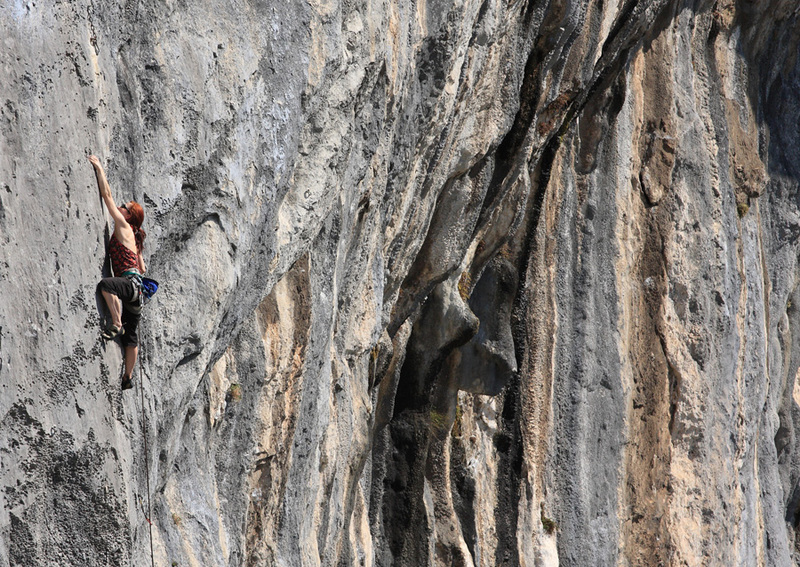 And besides the obvious advantages of scale, there are plenty of other factors which make Teverga stand out as a climbing area, perhaps most importantly, there’s a wide variety of climbing styles to pick from. Wall climbs at Placas del Sol, Cova Negra, Eléctrico, Canal, Muro Techo and Entecampos; short, steep testpieces at Vivac, La Cabra Muerta and Pingalagua; and stamina-fests at El Covachón, Planeta X, Bóvedas, Entecampos and Pared Negra. Unsurprisingly this means there’s something for everyone and very good routes at all grades. Marabio – Situated above Teverga, and only about 25 minutes from Casa Quiros, Marabio is another wonderful Asturian climbing venue with amazing views. In a fabulous location with an enviable variety of routes and sectors there’s something for everyone. Very popular with beginners, especially at Bloques, there’s quite a few routes at reasonable grades and there’s also a lot for the mid-grade climber. Hey! Great website guys, been teasing the idea of visiting from ireland ever since relesse of the roca verde guide!! But have spent past few months camped out in Madrid. Now back in ireland i am looking to escape the winter (/reality haha). I am looking at coming over on my own and spent some time in the area, is there much in the way of bouldering nearby to you guys? And how far is it to the coast to get a surf in on the rainy days!? Firstly, thanks for the comment and second I am incredibly sorry for the very slow reply!!! The whole Xmas time has been a bit hectic and this somehow just fell off the plate. Ok to answer yes there is bouldering in Teverga – there are ‘stand-alone’ boulders and there are some bottom of crags stuff as well – traverses and the like.You can see here the stuff at El Cantu http://www.scribd.com/doc/31140700/croquis-de-bulder-en-el-cantu-de-teverga#scribd There’s also a few more blocks dotted around as well a venue called El Gachu – which is super steep, short quartzite wall all around of 7a up. As for the distance to the sea it’s about an hour to a few really good surf beaches. Obviously, the weather here’s not as reliable as Madrid but it’s been OK so far – sun and showers and there is a lot of climbing dry and most of the boulders will be OK. It is coming into the most unreliable period soon and although it never gets too cold here (doesn’t totally freeze over like Madrid) it will be chilly camping. Anyway hope that helps and let me know if you have any questions.